There are 19 articles in this month. 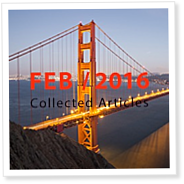 The individual PDF articles published in February 2016 are collected here in a single download. Nancy Hoshaw survived a heart attack at 48 and breast cancer at 60. At 73, she’s entering the CrossFit Games Open, which kicked off Feb. 25. While some compete to be named Fittest on Earth, Hoshaw is competing with time and age—and she’s winning. After seeing decrepit women on a trip to Israel, Hoshaw decided a slow slide into a retirement home wasn’t for her. The debate over whether sugar-sweetened beverages cause a host of metabolic derangements is akin to the one on global warming, said Harold Goldstein, executive director of the California Center for Public Health Advocacy. The very best of Richard A. Kahn, author of a 60-page report supporting the American Beverage Association’s lawsuit against San Francisco. On Jan. 12, Richard A. Kahn gave a 60-page expert report as part of the American Beverage Association (ABA) lawsuit seeking to strike down a City of San Francisco ordinance that requires ads for sugar-sweetened beverages to include health-warning language. Days before Pete Katz’s visits to his primary-care physician, he would go on a diet. 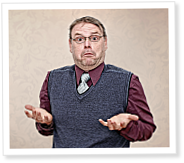 It was his vain attempt to nudge his health markers in the right direction. But the short-lived change had little effect on an increasingly grim reality.